If you’ve been arrested for drunk driving in New Jersey, seek legal advice immediately. While New Jersey is committed to aggressively prosecuting individuals charged with DUI, there is still hope for building a strong defense. The legal team at The Law Offices of Jonathan F. Marshall is experienced in handling New Jersey DUI cases and identifying arguable points. We have the knowledge and expertise to build a strong defense and get your DUI charges dismissed. A BAC higher than 0.10%. Although DWIs are defined as traffic offenses rather than criminal offenses, convictions carry heavy legal consequences. 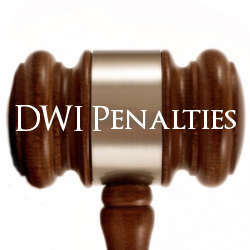 Even for a first time offense DWI, you are dealing with significant penalties.If you are convicted of DWI in New Jersey with a blood alcohol concentration (BAC) of at least 0.08%, but lower than 0.10% and this is your first conviction, you are facing the following court-imposed and administrative penalties and punishments. Loss of your driving privileges for 3 months. At least twelve hours of jail time and no more 30 days. Between $250 and $400 in fines. A $1,000 annual automobile insurance surcharge for three years. Other fees and surcharges in excess of $525. Possible Ignition Interlock requirement for six to twelve months. Two days of 6-hour mandatory alcohol classes at an Intoxicated Driver Resource Center (IDRC). A DWI conviction with a BAC of 0.10% or higher comes with higher fines and a longer license suspension for first time offenders. Forfeiture of your driving privileges for at least seven months and no longer than one year. Between $300 and $500 in fines. Additional penalties as identified above. If you are convicted of DWI while driving in a school zone, you are subject to an additional $500 to $800 fine, up to 60 more days of jail time, and your driving privileges will be suspended for an additional one to two years. A first time DWI conviction is extremely costly. There are several surcharges and associated expenses. If you are unable to pay your surcharges your driving privileges may be suspended indefinitely and the Motor Vehicle Commission (MVC) may file a claim in Superior Court and obtain a lien against your property and garnish your wages. Although it may seem straightforward, DUI charges can be contested with knowledgeable legal help. At The Law Offices of Jonathan F. Marshall, defense attorneys are trained in the use of the Alcotest as well as the field sobriety test. A thorough understanding of these testing strategies allows our defense team to identify any errors in your arrest. Contact our offices today to begin discussing a defense strategy to fight DUI charge. 2nd Degree DUI Penalties in N.J. Note that these penalties are not the only ones. There are several other surcharges and associated costs for DUI offenses, such as a $75 Neighborhood Services Fund surcharge, a $100 Alcohol Education and Rehabilitation Fund (AERF) surcharge, $230 – $280 for IDRC fees, the cost of an Ignition Interlock Device, and more. Again, like with a first and second offense, there are other surcharges and fees for DUI offenses. They include a $100 Alcohol Education and Rehabilitation Fund (AERF) surcharge, a $75 Neighborhood Services Fund surcharge, $280 for IDRC fees, the cost of an Ignition Interlock Device, a $100 DUI enforcement surcharge, and more. Offices are not staffed. By appointment only.